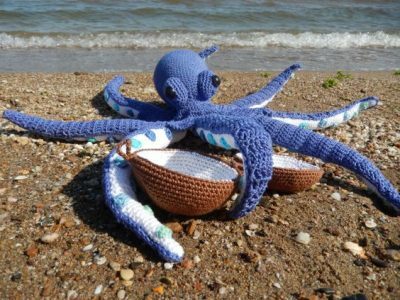 Making crochet octopus is a cute and fun project. 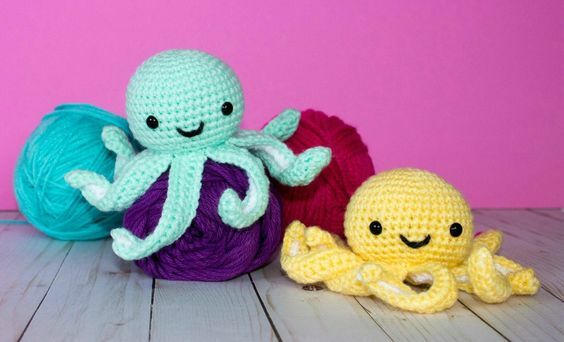 But did you know these little octopus toys are especially helpful for premature babies in hospitals who are drawn to their curly tentacles and find comfort and feel safe? The tentacles of the Octo resemble the umbilical cord and remind the babies of the time in the womb. 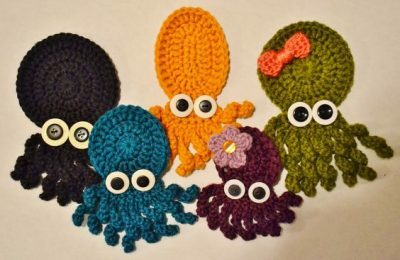 This is also a wonderful handmade gift for babies and toddlers or to add to your own collection of little crochet critters. Would you like to make a difference and help a premature baby feel safe – then grab your crochet hook and yarn. 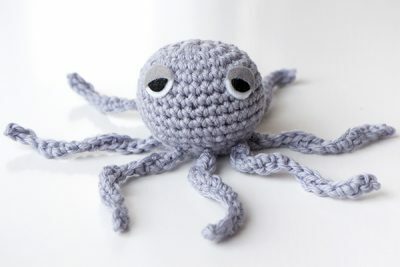 We have compiled some free crochet patterns for making Octopus with instructions and tutorials. Grab your hooks and yarn and make this adorable octopus toy for your baby you are expecting. This is quite a fun DIY crochet project which won’t take much time. Use contrasting colored yarn for the legs to give it a vibrant element. 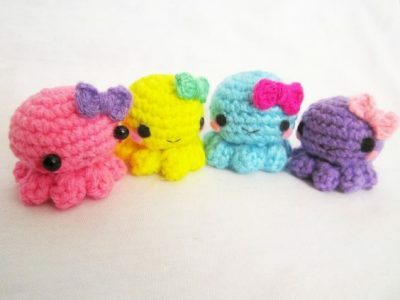 You can make a couple of them in different sizes. 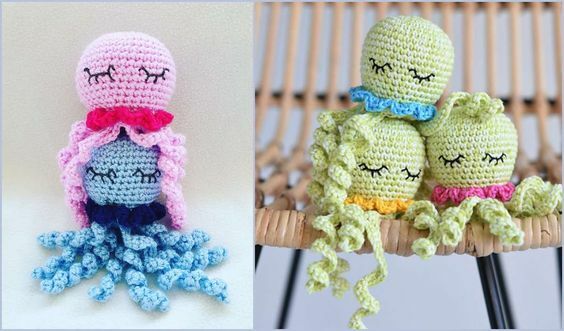 You can easily customize your Octopus softie with the color of your choice and delight in her stunning features with her adorable big eyes ruffled legs. This design is a small one, because of the limited space in the incubator. Follow the linked tutorial for complete instructions. 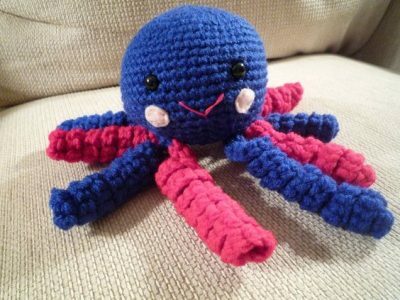 Who knew that an octopus could be a premature babies best snuggle-buddy which gives them a sense of safety. 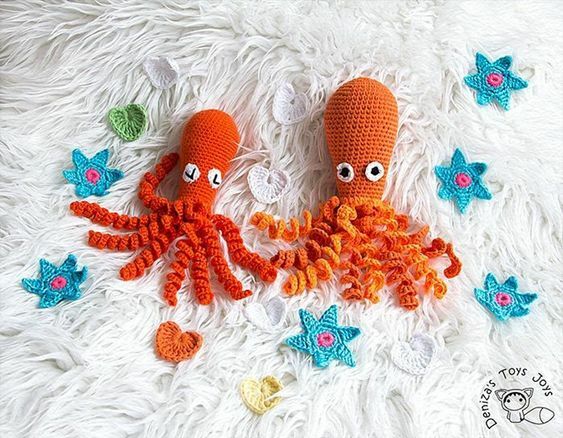 Make your own sea-creature toy for your little one! 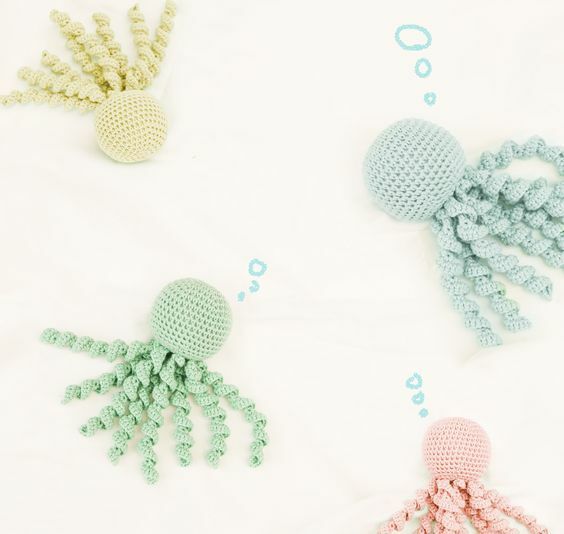 Hook this tiny sea creature using basic crochet stitches for your baby. 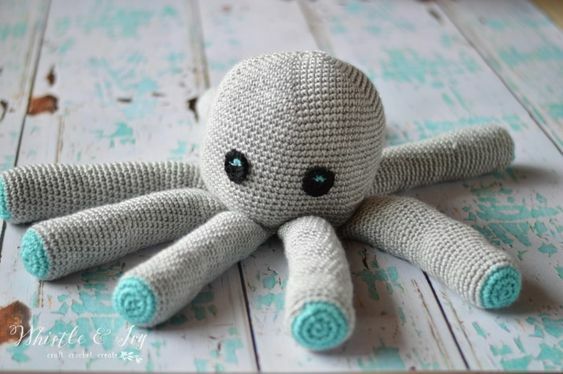 The cute tentacles give this stuffed toy a realistic look with weaved loose ends. This wonderful little stuffed toy is for the skilled crocheters which need some experienced hands. The vibrant orange color and squiggly legs will sure get a smile on your little angel’s face. 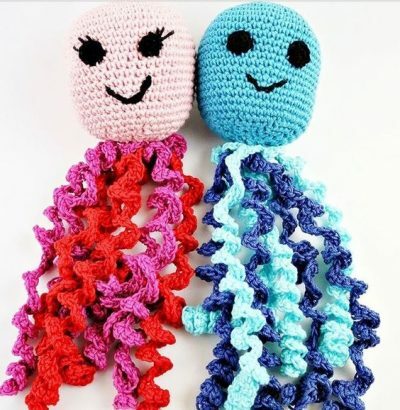 You can download the free pattern from Denizas Toys Joys. These crocheted octopuses are made using subtle colored yarn. They are adorable and small in size to give comfort to the preemie babies. Follow the instructions in the linked tutorial to make your crocheted toys in no time. 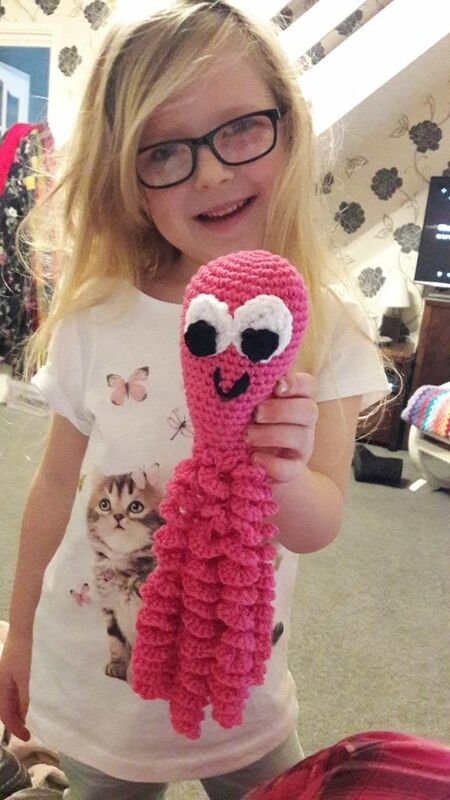 Looking to make a giant octopus for your child? Then follow the instructions on Whistle & Ivory for step-by-step instructions. Your kid will absolutely love this new stuffed toy to play around with. You can download the free tutorial with diagrams in printable fomat. 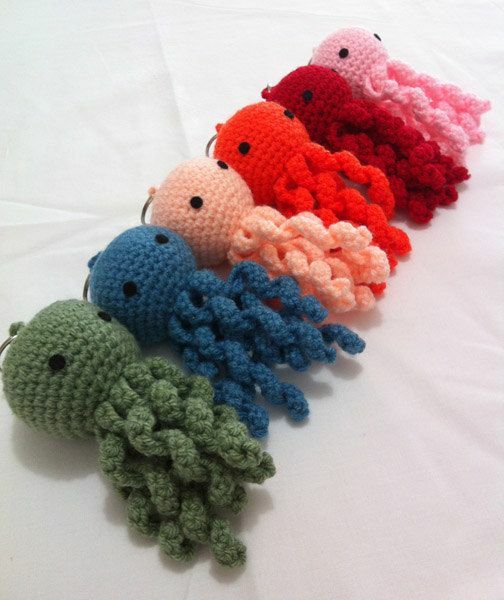 Make these cute tiny octopus toys and add a keychain to them. They will look lovely hanging from the cradle or in the toy room. 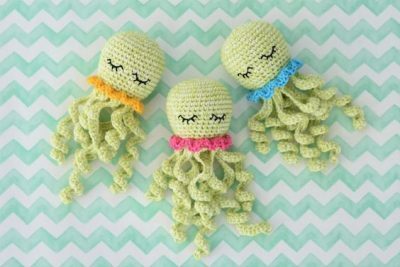 We hope you enjoyed these crochet patterns for your little one. Do share your creations with us in the comment section below! !